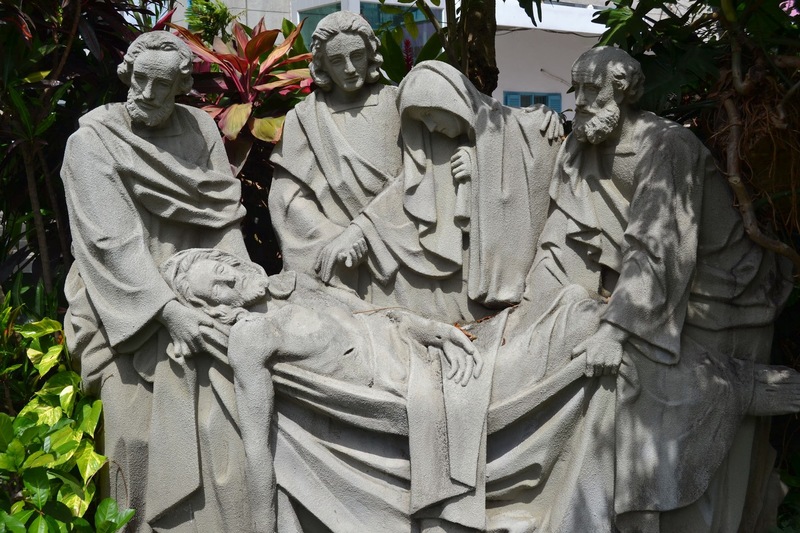 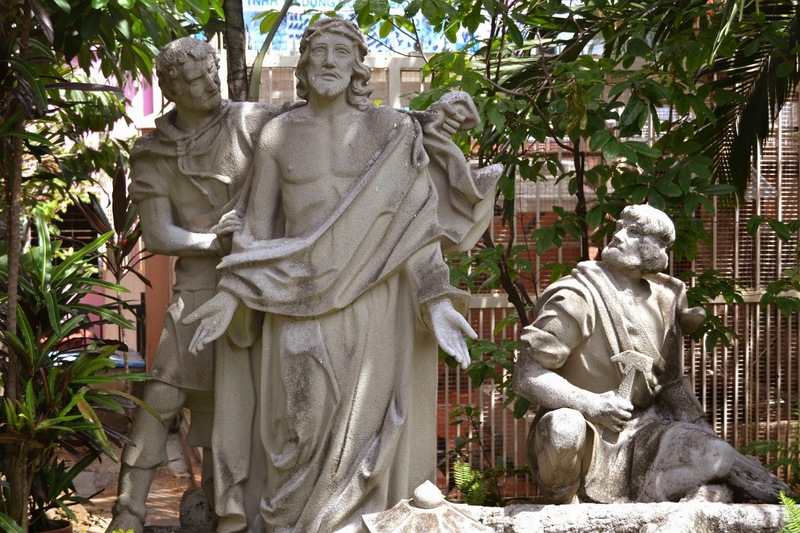 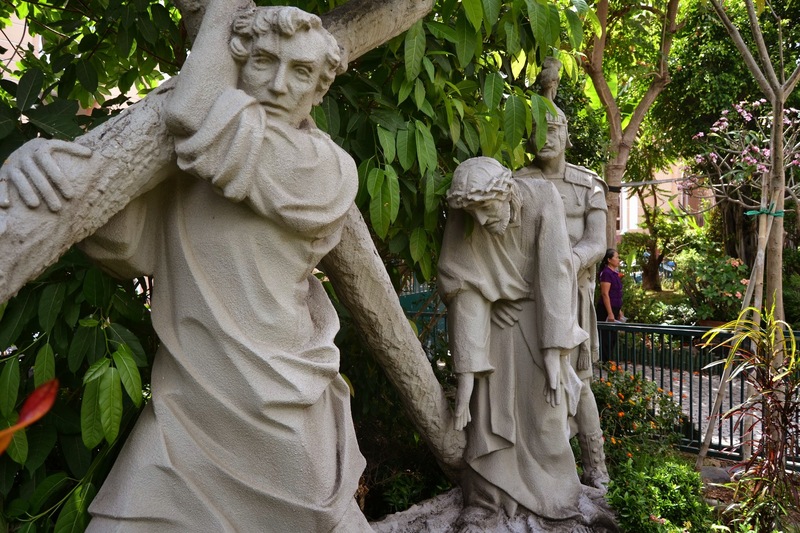 The Garden of Catholic Guilt – E.A.T. 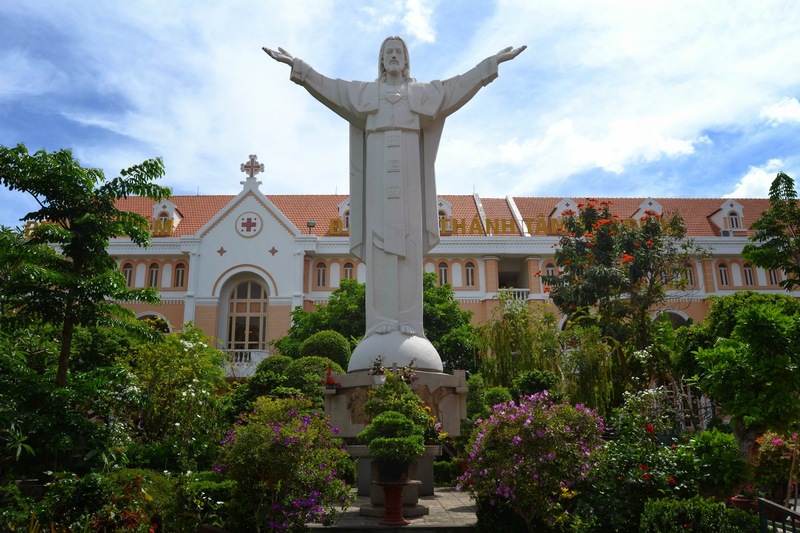 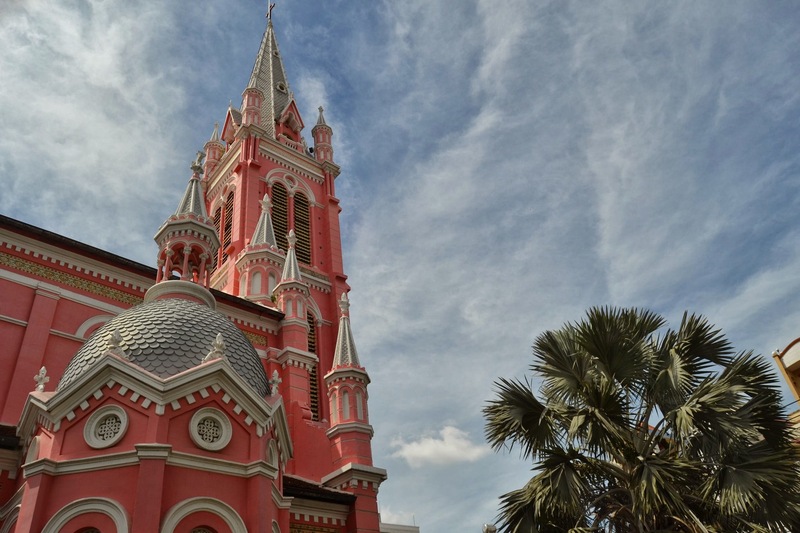 Wandering in Saigon, I came across a magnificent Pepto-Bismol colored church. 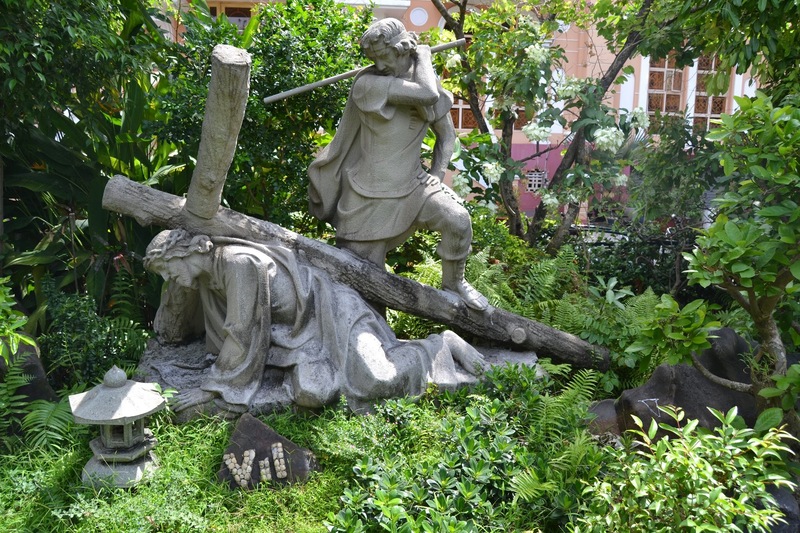 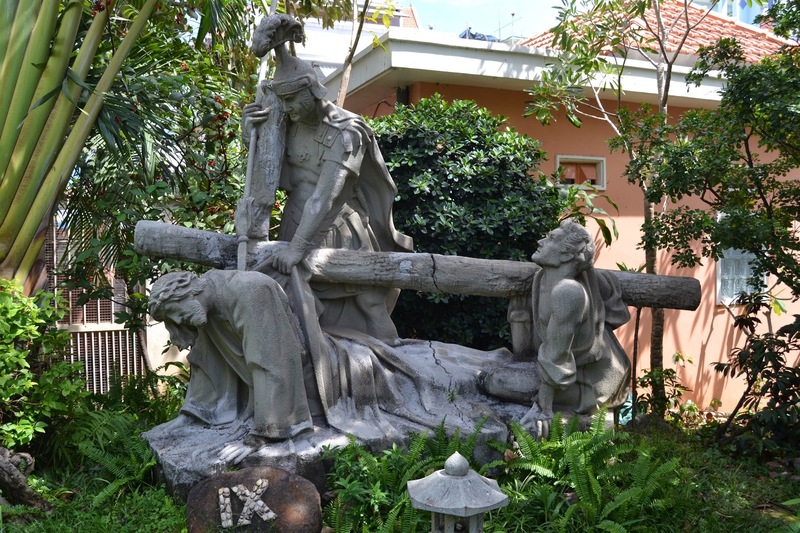 It had a lovely flower garden complete with statues of all the Stations of the Cross. 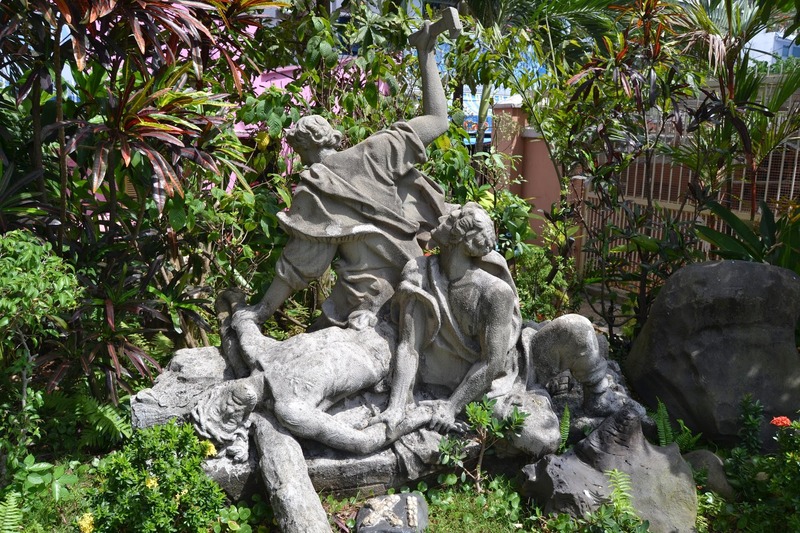 They were pretty brutal, as anyone who is familiar with the Easter rites of Good Friday well knows. 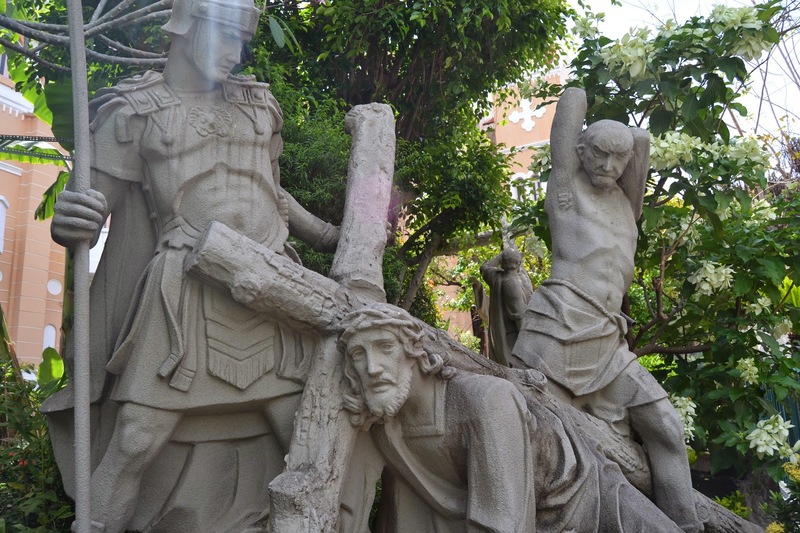 Here’s a few samples: try to find the Roman soldier spearing Jesus, or the bald man flaying Jesus, or Jesus falling for the first time.